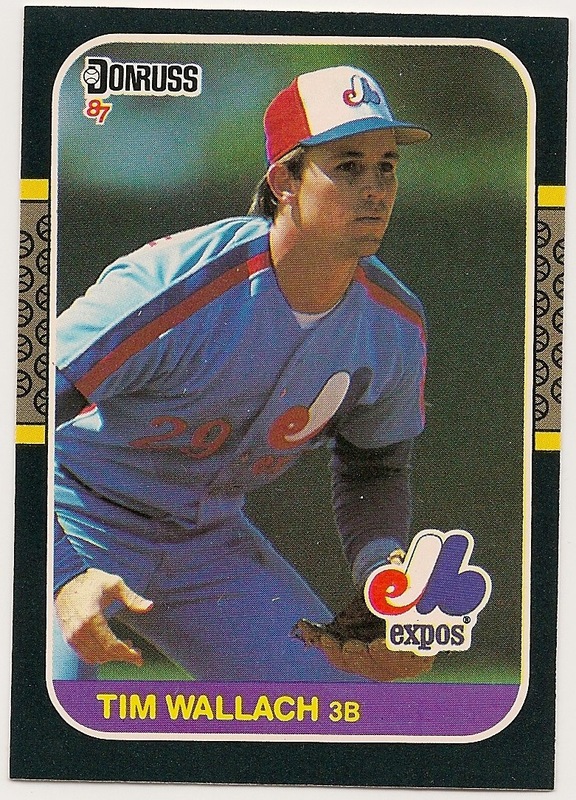 Card Review: 8.8 I love the front design of '87 Donruss, but it's not a great photo, and it's not cropped well on the card either. 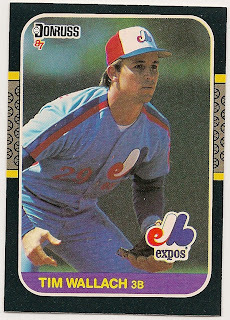 The back is the standard horrific Donruss back of the 1980's, with incomplete career stats. 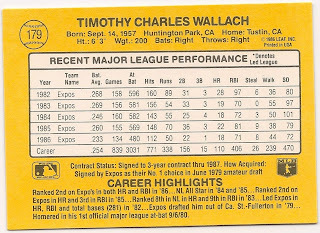 Fun Facts: *This was the 4th Donruss card to show Wallach fielding. 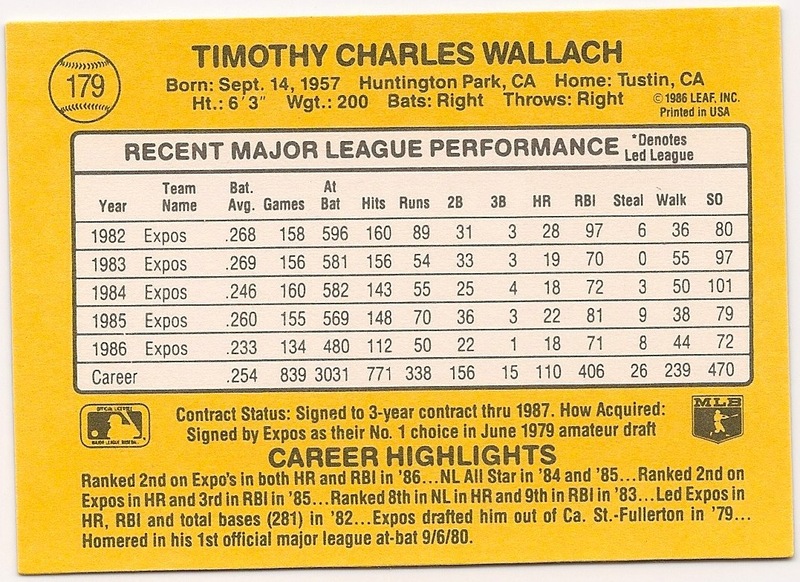 *As of 1987 Fleer and Topps had yet to depict Wallach in the field.